Center For Family Services serves to heal, educate, and protect children and families. Our goal is to break the cycle of poverty, violence, trauma, and addiction and to help people to overcome obstacles, to find comfort, and to build the foundation for a successful future. 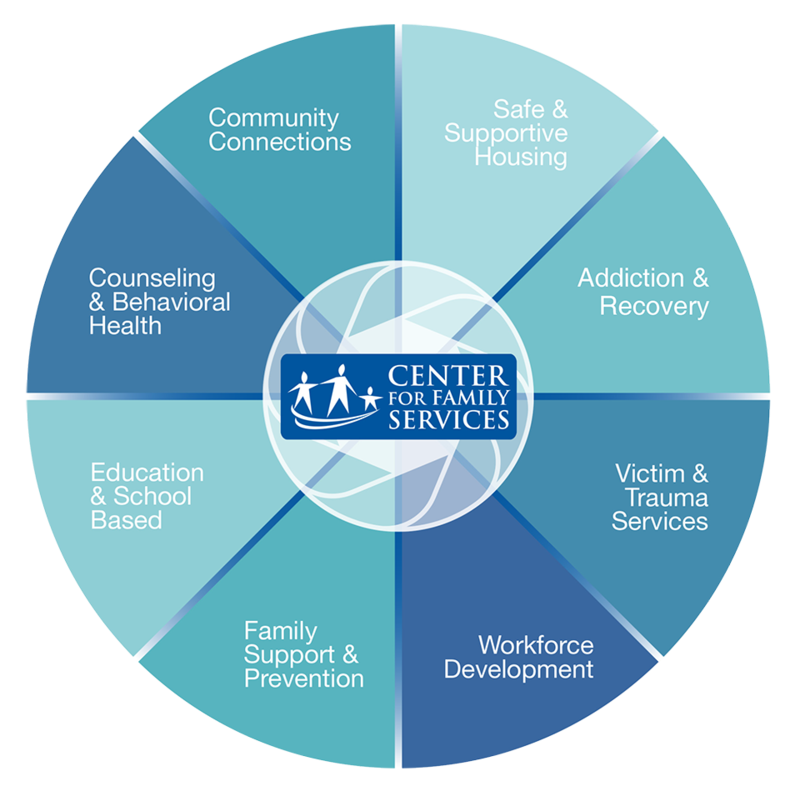 Our comprehensive continuum of care covers a broad and diverse range of services that include: Community Connections, Counseling & Behavioral Health, Early Childhood Education, Family Support & Prevention, Safe & Supportive Housing, Substance Abuse Services, Victim & Trauma Services, and Workforce Development. With over 60 programs spanning these seven key areas, we strive to best meet the unique needs of our clients. Our caring and dedicated staff work closely with individuals and families to develop solutions to difficulties they may be facing and create paths for greater self-sufficiency. The diversity of our services allows us to address the ever-changing and persistent needs that exist throughout our community and develop strategies that uplift and strengthen people at all stages of their lives.